We are pleased to offer for sale this Four bedroom Two bathroom Detached family home, in excellent condition throughout, set in one of Hendons Premier turnings, close to Hendon Central Station, All shopping facilities. with easy access for A41, North Circular & Brent Cross. must be viewed. 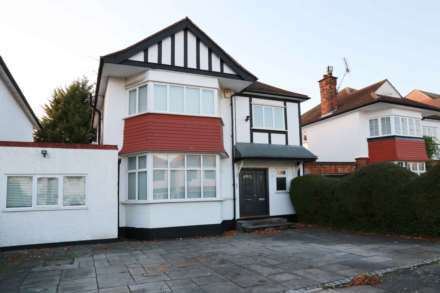 Orient Estates are pleased to offer this spacious 4 bedroom detached family house with separate studio next to the house, and a large private rear garden,benefit from drive way and 0.2 miles from Hendon Central Station. Stunning 4 double bedroom end of terrace family house, an excellent condition throughout, set in a gated development at Hollyview Close, close to Hendon Central Station and Hendon Station. All shopping facilities. A bright and spacious semi-detached house with garage and rear garden set in a great location. Close to Hendon Central Station (Northern Line) and Hendon Station (ThamesLlink). Ideal for the families or investment opportunity. Viewing recommended. Chain Free. A beautiful 3 bedroom family home, set in a convenient location close to local schools, Brent Cross Shopping Centre and Hendon overground station (Thameslink). The property benefits an external storage, rear garden and huge drive way. Chain Free. A beautiful two bedroom apartment in a modern residential development Peaberry Court, set in a location offering easy access to local shops and all amenities of Hendon and Brent Cross Shopping Centre. Orient Estates are pleased to offer this wonderful two bedroom apartment set within a purpose built block with lift access, secure underground parking and communal garden. All modern appliances and offering easy access to shops and amenities of Hendon and Brent Cross Shopping Centre.